EnhancePackaging.com is a division of Enhance Marketing, a company dedicated to delivering high quality packaging products to retailers, manufacturers, and corporate clients at extremely competitive prices. As a customer focused retail packaging broker, we shop your project for you using our extensive network of professionals and leading manufacturers in the retail packaging industry. We are not manufacturers representatives. We represent our clients, and can establish a competitive environment in which the best interest of our clients is served. Whether you are looking for shopping bags, plastic bags, gift boxes, gift wrap, tissue paper, ribbon or a complete custom packaging solution, we have the knowledge and experience to exceed your expectations. We have implemented some powerful strategies to ensure that we accomplish this mission. 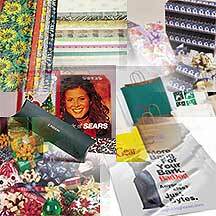 First, we only work with manufacturers who are recognized leaders in the retail packaging industry. You can have confidence in our products and in our ability to deliver them as promised. Second, we focus our sales and marketing efforts on the Internet, instead of mailing hundreds of thousands of catalogs, or paying high salesman's commissions. We also make use of electronic media such as e-mail and voice mail, when they make sense. This allows us to control costs and pass the savings on to our customers. Third, we are committed to providing the highest level of customer service. With this commitment come honesty, integrity, and a respect for the best interests of our clients. We know you'll find working with us to be an enjoyable and rewarding experience.